Read the following statements and see how many apply to you in a significant way. 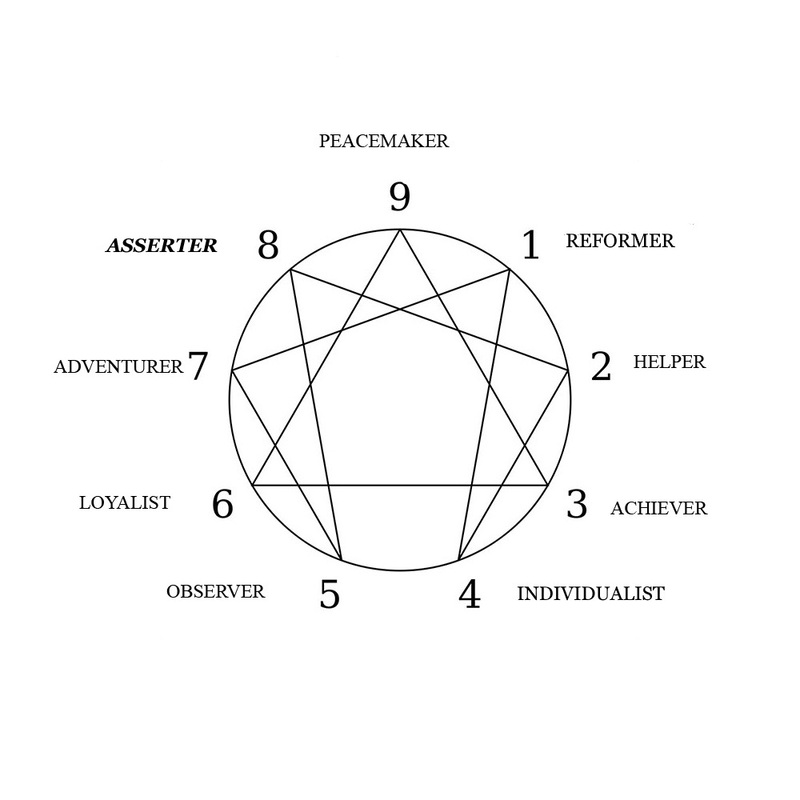 The more statements you agree with, the more likely you are an EIGHT – the ASSERTER. I am very good at standing up and fighting for what I want. I sense others’ weak points quickly, and I will push them there if I am provoked. I find it easy to express my dissatisfaction with things. I am not afraid to confront other people and I do confront them. I enjoy the exercise of power. I have a sense of where the power resides in a group. I am an aggressive, self-assertive person. I have trouble accepting and expressing my tender gentle, softer, “feminine” side. I get bored easily and like to keep moving. Justice and injustice are key issues for me. I protect people who are under my authority or jurisdiction. I think of myself as being an “earthy” person. Generally, I don’t care much for introspection or too much self-analysis. I think of myself as a non-conformist. I don’t like to be cornered. I don’t like to be told to adjust myself. I think of myself as a hard worker. l have trouble just letting things be. 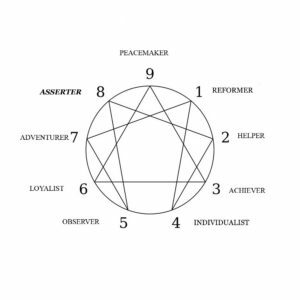 If you found yourself agreeing with many or most of these statements, then you might consider that the EIGHT type is your preferred position, especially if you identified with the descriptor on the previous page. If this is so, then click here to proceed. Otherwise, click here to visit the next type. Or click here to return to the summary page.